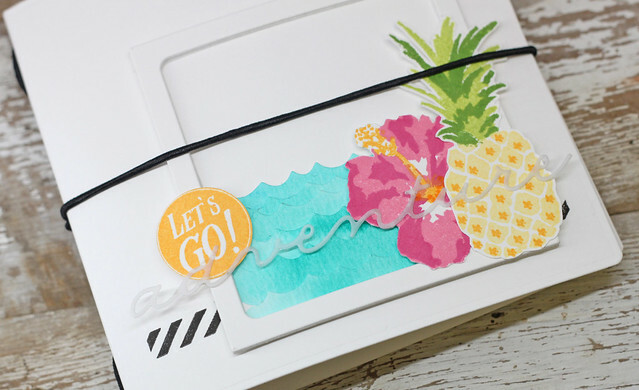 It's Papertrey Ink July Release time. Today is our 3rd Group Post. 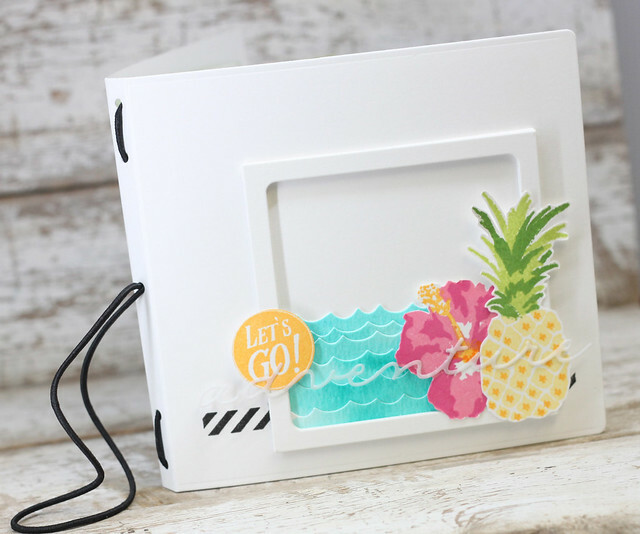 We have some fun crafty goodies to share, perfect for all you stamps and scrapbookers. Let's get started! There is a large die that you can create a cover out of any cutable material. I used white card stock for this book. The front uses stamps from the new set Come like it Hot, along with the Traveler's Journal Adventure stamps. There is a new cover plate called Cover Plate: Scallops. I did a watercolor wash and then used that die. I used the negatives from that die to create the water. The frame die you see here also comes in a set with the cover die, called Traveler's Journal: Outer Cover. It was hard to get a good shot, but if you look close, you can see a thin sentiment that says adventure. That also comes in the cover die set. 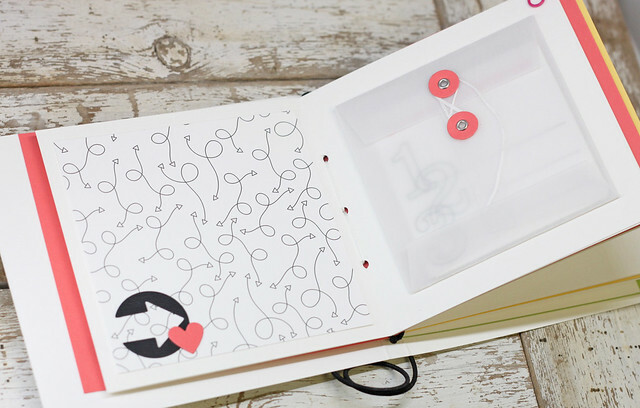 The elastic cord will also be available so you can create you own books. 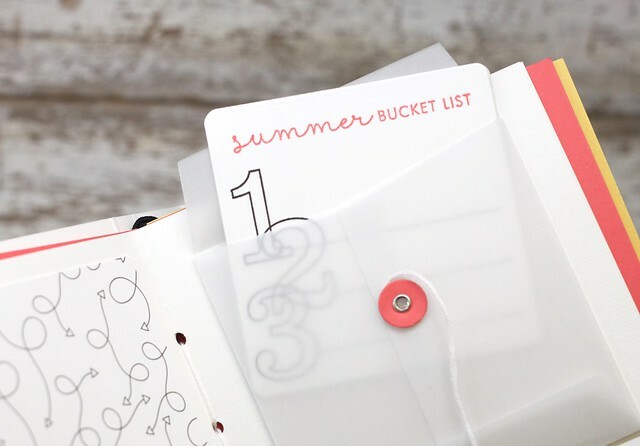 They are so easy to put together and the possibilities are endless here! I have a few pages on the inside of the journal that will be ready to go for vacation time. 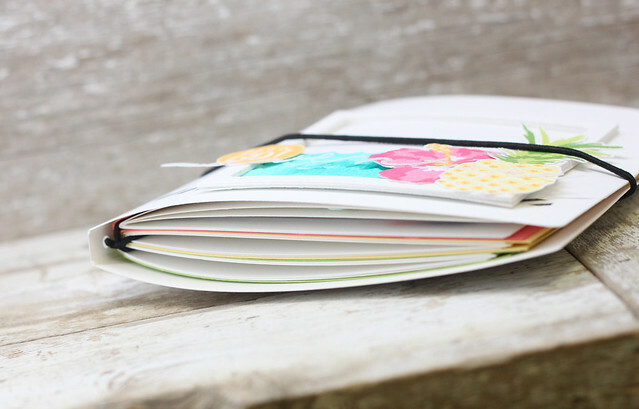 I used the set from Monthly Moments called Journal Accessories to create the lines journal pages. On the right side of this layout, I used the new watercolor paper from What the Doodle: Map, to create a matching watercolor piece inside the book. I added the flamingo from Some like it Hot, to bring in the tropical feel. Here is a shot of the next page. I used one of the coloring sheets from the What the Doodle: Map paper to decorate this page. I can print out an instagram photo to add to this page. Those fun little die cuts are from the Traveler's Journal: Outer Cover set, as well. On the next page, I have a vellum pocket cut from the new die called, Traveler's Journal: Envelope. The die set comes wit the little circle pieces so you can create you own closure. I used brad to fasten them to the vellum and some floss that wraps around to close the envelope. The frame that I used for the cover has a middle negative and it works perfectly for little insert cards. They fit just right down inside the envelope. 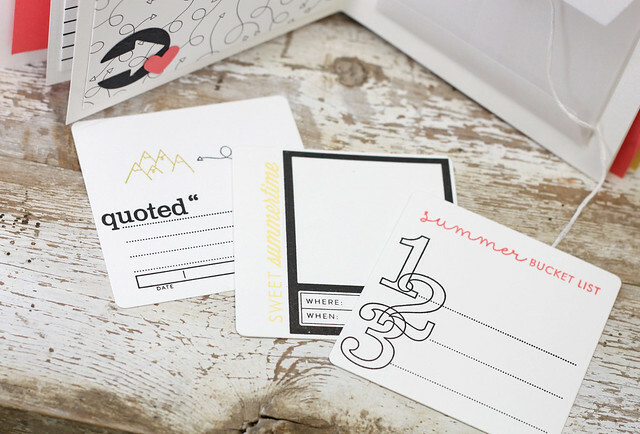 I pulled out a Moments Inked set called Moments Inked: Remembered, to create these little inserts, along with small images from Monthly Moments: July and What the Doodle: Map. My last project is a card using these same stamps and dies. On the cover of my book, I used the negatives from the Cover Plate: Scallops....well here I used the actual cover plate. 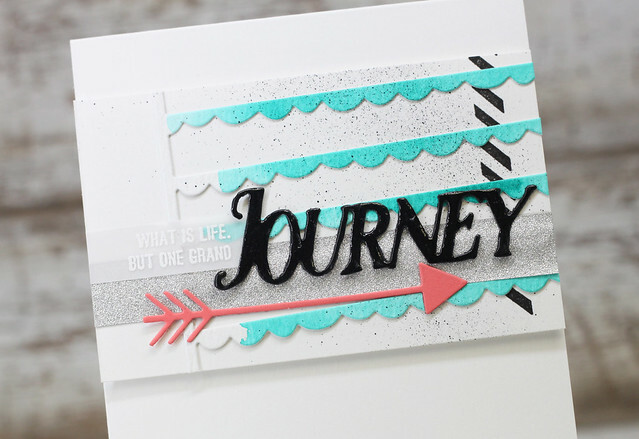 I glued part of it down after stamping the washi image from Traveler's Journal: Adventure. Then I did a mist of black ink over the top. 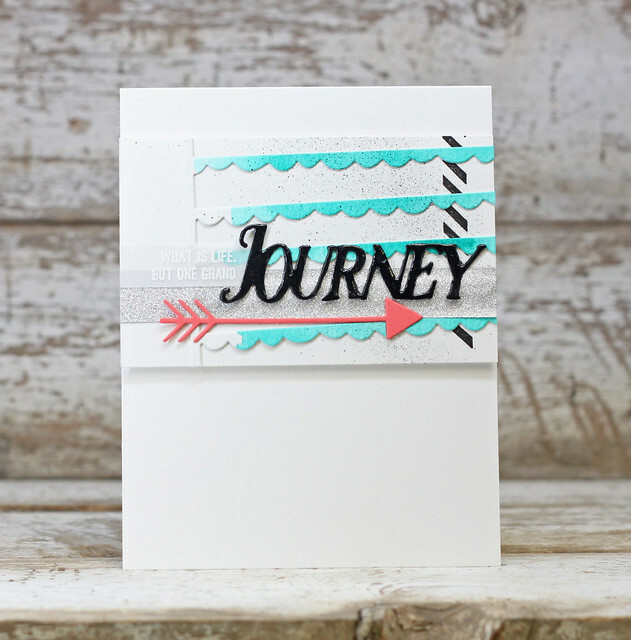 I added in some glitter washi, an arrow die and the "Journey" from the cover die set. I covered that die cut in glossy accents to give it some shine. 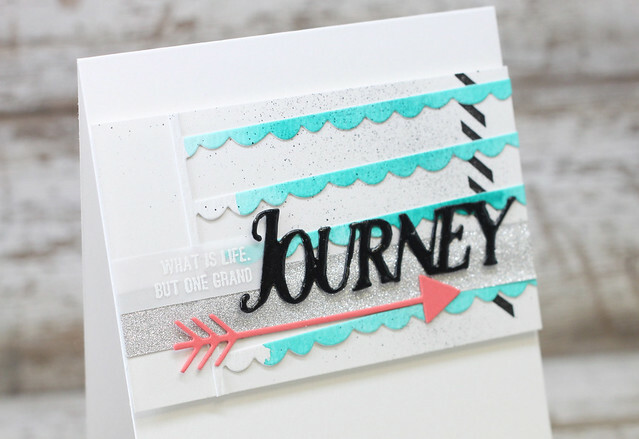 I tucked a little piece of vellum in behind with the sentiment, "What is life but one grand..." behind the word Journey to complete the card. I hope you are still with me! I know that was a ton of pictures today. Lots of fun goodies here for the month of July. Nichole's blog will have links to the rest of the team. 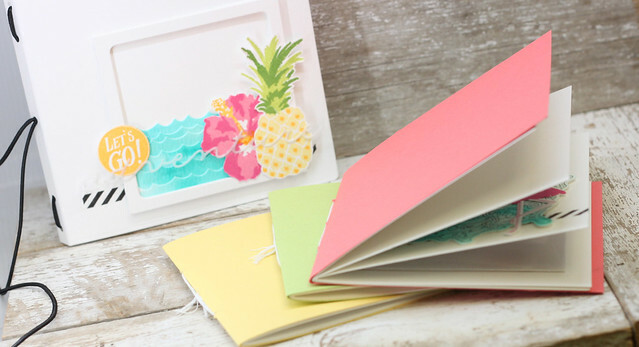 Head on over there to see more about this new line of Traveler's Journal goodies! We will have one more post tomorrow to share the rest of the release. Hope to see you then! Thanks for coming by! Like a cool tropical breeze. 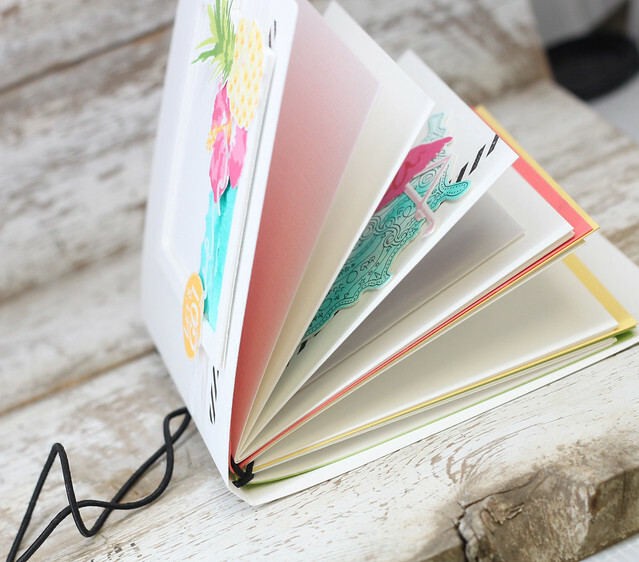 Love your journal in these colours! 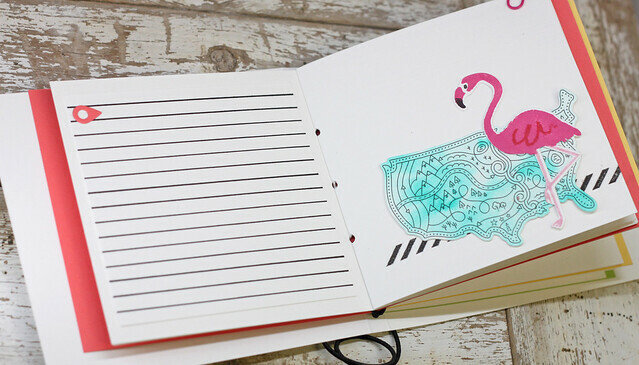 I love the travel journal ideas you've pictured here. What a great job and wonderful colors too! Oh boy, this post just makes me happy!! Beautiful work Laurie! Fabulous, Laurie! Looks like you're already for your next vacation. How fun! 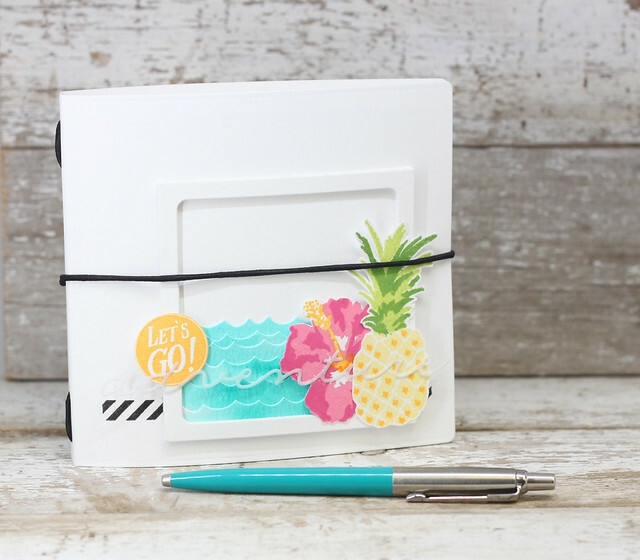 Awesome travel journal, love the tropical touches, clever additions like the 1,2, 3 card in envelope! That mini is so cute! I love that doodly USA!